The Zebra ZXP Series 3 Single-Sided Card Printer System is a capable 300 dpi dye-sublimation printer that can produce 180 single-sided YMCKO cards every hour or 700 monochrome cards per hour. It works with CR-80 size PVC and composite media and can print edge-to-edge. The Series 3 printer also utilizes a 100 card covered feeder and 45 card output hopper to handle batch print jobs easily and without worry. 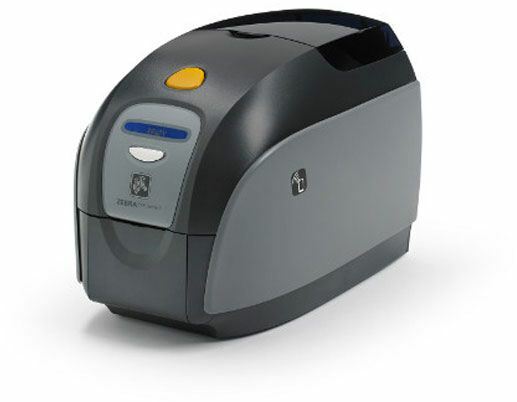 The ZXP Series 3 features a Print Touch NFC tag that allows you to tap and connect to a compatible mobile device in order to open up documentation on the printer. The printer is also able to have optional upgrades installed and it has a 16 character LCD display for convenience. Additionally, there is a Kensington security lock slot and USB 2.0 connectivity.